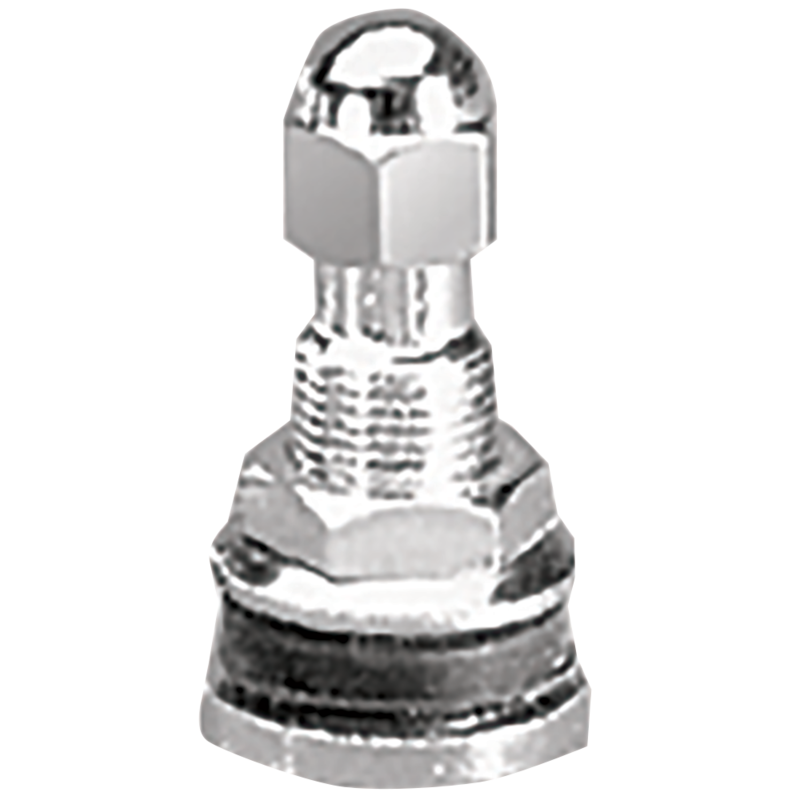 This is our standard chrome valve stem with lock nut. 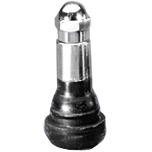 It’s an excellent tire valve stem to use with chrome wheels. 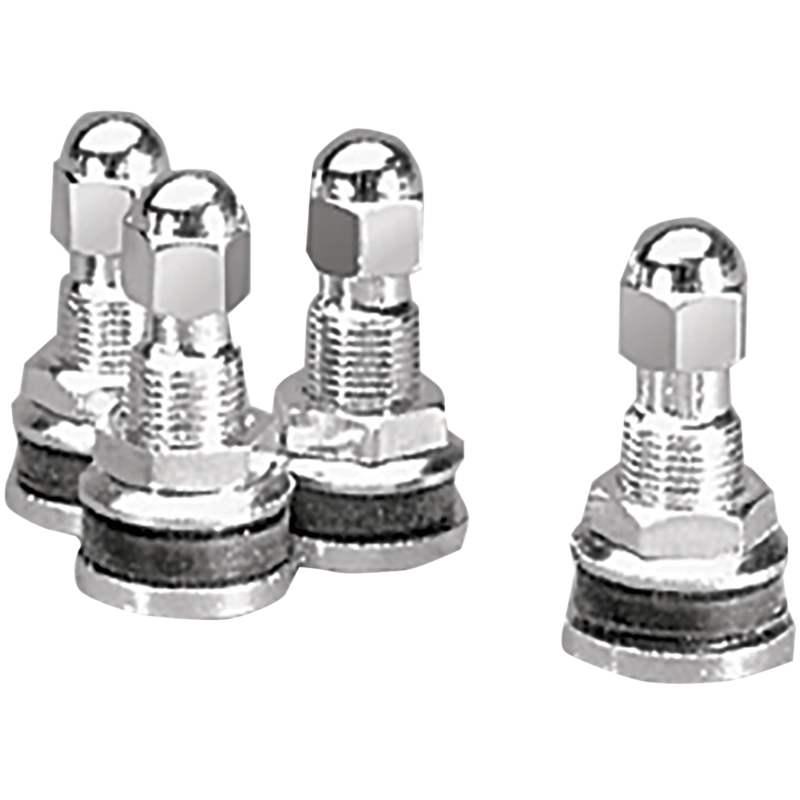 If your hot rod or muscle car has a nice-looking set of wheels on it, why not upgrade to a set of chrome, bolt-in valve stems? They provide a custom look, but they're subtle enough to keep your classic car looking the part. As most car guys know, a cool car is all about the details, and chrome valve stems are a nice finishing touch. Please note: these valve stems are in sets of 4. What size hole does this item fit? Does this whole assembly just thread onto existing stem ? This is a valve stem with a lock nut and cap. 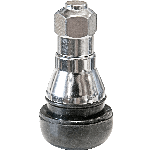 It does not thread on to an existing stem, rather it replaces the existing valve stem. 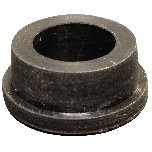 These are mostly used on 1960's and later model vehicles.